LiquidateNow offers are typically one-time opportunistic deals. Confirm purchase immediately at listed price or make an offer. Offers for less than listed price and/or less than entire inventory may be considered. 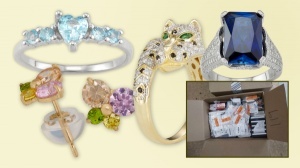 We Carry a Variety of Wholesale Jewelry Liquidation Lots. Please review the listings below for further details. Local Buyers: Please note we carry over 20K pallets in our facility in Los Angeles – many of which are not listed online but are available for purchase from our cash & carry Liquidation Facility. Items may still have their original retail pricing stickers/tags on them. Items may have additional retail discount tags on them. Packaging or item may show signs of handling. Exterior packaging is often in less than perfect condition. May be defaced/de-labeled (inner labels or tags removed to prevent return to the original store). Some items may still have retail security sensors attached. A percentage of the items may be out of box or in open boxes. A percentage of the items may be in-store display units or samples & more. Brands typically found: Martha Stewart, Barbara Barry, PEM America, Hallmart Collectibles, Lauren by Ralph Lauren, Calvin Klein, JLA Home, Textiles Europe, Peking Handicraft, Melange Home, Sky Textiles, Waterford and more! Loads may typically include: Bracelets, Earrings, Gemstones, Necklaces, Pearls, Rings, Cuff Links, Sets, Brooches, Charms, Accessories & more. Some items in the manifest will have a generic description referred to as "Generic" or "Default". These are items which the Department Store cannot scan for one reason or another and are bundled together under a "generic" or "default" SKU. Values for such items are determined using average values of the load. Feedback on such items has generally been positive. Please review sample images to get a better understanding of what to expect. Please see individual manifests for the specific contents, values & price of each available load. Defective when returned by the customer. Cosmetic blemishes or slight defects. Missing minor or major components (broken clasps). Damaged exterior or missing packaging. May or may not include original retail tags. May include additional store return labels. Sold as a % of Wholesale Value. This is an opportunistic liquidation of New Overstock Novelty Rings and Jewelry. Multiple loads are available. Products include: rings, earrings, bracelets, necklaces, and more. This is an opportunistic liquidation of New Overstock Novelty Rings and Jewelry. 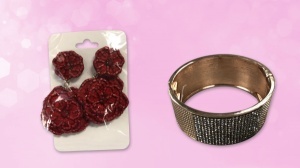 Products include: rings, earrings, bracelets, necklaces, and more. Retail values of the goods range from $1.80/unit - $18.00/unit. Total retail values of the available loads are over $300,000. Reasonable offers may be considered. Great items for Retailers, Wholesalers, Online Sellers, and Export! This is an opportunistic liquidation that includes approx. 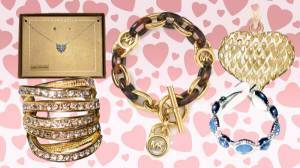 7,001 units of assorted jewelry and fashion accessories. 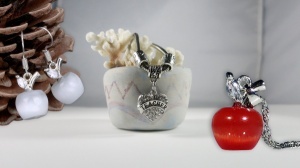 This liquidation is direct from the private label design house and includes, but not limited to: necklaces, earrings, bracelets, hair accessories, rings, pins, and more. All carding must be removed by the B2C reseller prior to selling. No detailed manifest is available. At times we may be able to provide the quantity per style number. The goods have retail values that range from $9.99-$39.99 per unit. All items will be individually wrapped in poly bags with bubble and ship in cardboard cartons. Each carton will have between approx. 400 – 500 units. Pictures in advert are representative of the goods. Your price is just $1/unit, or $7,001 for the load. Reasonable offers for less may be considered. These products are for Export Only. Opportunistic Liquidation of New Overstock Teacher Themed Jewelry. This is an Opportunistic Liquidation of New Overstock Teacher Themed Jewelry. Lots have 10,797 units or more. The goods retail between $16.99 - $19.99/unit. Each lot has over $208,000 in total retail value. Your price is just $0.58/unit. These unique pieces of jewelry make for the perfect gift for teachers, or to show off your pride of being a teacher. All goods are individually hand crafted and are as unique as the teacher who will be wearing it. Great products for Retailers, Online Sellers, Wholesalers, and Fundraisers! 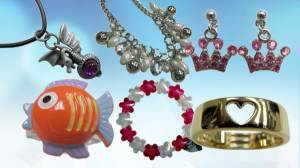 Assorted Customer Return Liquidation Lots of Fine & Popular Price Point Jewelry. Manifested and sold as a % of Retail Value. 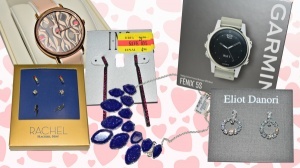 These jewelry lots are direct from a Fine Jewelry manufacturer and importer of popular price point jewelry who sells to jewelry stores, TV networks, National and Regional Department stores, discount chains, online retailers, and flash sites. Loads may typically include: bracelets, earrings, gemstones, necklaces, sets, brooches, charms, sets, & more. Please see individual manifests for specific contents, values, and price of each available lot. Please see download pdfs for additional details on the lot you are interested in. Assorted Case Packs A selection of Assorted Case Packs across a variety of different product categories. Department Store & Manufacturer Programs Department Store, Manufacturer or other Liquidation Programs we offer. Majority of the Listings are Manifested and sold as a % of Value with varying lot prices. Many Programs have Listings starting from $300. Use the price filter to see Programs with available Loads within a range. Check out the Load Center to view all Program Listings in one centralized location. Some Listings may be On Sale or offer Volume Discounts. LiquidateNow | Make an Offer Liquidation Lots A selection of mostly opportunistic liquidation lots from our LiquidateNow Services. Make an offer or purchase immediately at Listed Prices. À La Carte Cosmetics A large selection of Branded L’Oréal, Maybelline, Revlon, Essie, NYX, Ardell and other Cosmetic Brands available to be purchased À La Carte. We also have Pre-packaged Flat Priced Cosmetic Lots (Review current availabilities & manifests) and Assorted Case Packs.